Depending on how much work you do, how many clients you work with and how you manage your business, you may not need a full-blown accounting software to manage your books. In fact, many solo workers just need a streamlined way to send and track invoices to clients without being bogged down by the more advanced and feature-heavy applications. I’ve used the QuickBooks full desktop version for years, so I never looked into online invoicing services. I was amazed by how many are out there! Here is a list with a quick breakdown of each to help you chose the best tool to manage your invoicing and billing process. There are limits on the number of clients and projects. You can track time and manage projects. Both available account options offer recurring invoices and payment tracking. You can send invoices with multiple recipients. Features include client tracking and reports. It allows you to send and track unlimited invoices. You have an option to send billing reminders. You can add your logo and terms to your invoices. Provides unlimited invoicing and clients for some plans. Some plans include automated invoicing and recurring billing. You can use your PayPal account to accept electronic payments directly. You can send 3-1,500 invoices monthly depending on the plan. The number of clients is always unlimited. You can generate invoices and estimates. You can customize your invoices and estimates. The service creates PDFs for printing and record-keeping. It includes auto billing options. 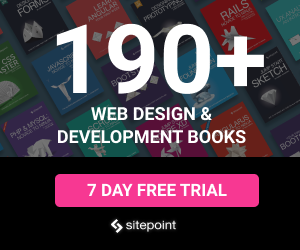 It allows unlimited clients, users and projects. You can track time, expenses and mileage. You can upload bank statements for analysis. Data can be exported and used in other applications. Unlimited contractors can track time and send you an invoice, on any plan. Time tracking is available on all plans. There are limits on how many clients you can manage and how many staff members can access your account. You can send 3-3,000 invoices per month. It integrates with PayPal and Basecamp. It allows unlimited clients at all levels. It allows an unlimited number of customer records, but has limits on amount of invoices/quotes per month. The service supports multi-currency invoicing. Through the service, you can create, email, print, and manage your customer invoices. You can have the invoices printed and mailed for an additional fee. It allows you to accept payments via PayPal or Authorize.Net. There are many invoice templates to choose from. Clients can log in and see their account. Paid account does not limit number of clients or employees. There are limits based on number of invoices. You can track expenses and invoices. You can create proposals right from the website. They offer increasing robust reporting as monthly fee increases. You can send 5 invoices per month to unlimited, depending on the plan. It allows for unlimited customers. You can generate customer statements. It allows you to accept payment via PayPal. Makes it easy for your clients to send payment. You can send reminders with one click. Cost: Pricing is based on a percentage of the transaction fee. Most options have no setup or monthly fee, although merchant accounts or website payment integration may have a fee attached. You can create quotes through the service. It provides time tracking via desktop widget. It has Flickr image integration for invoice branding. You can send 25 invoices per month to unlimited. You can have 10 clients per month to unlimited. Provides unlimited invoices with all plans. There is a limit on the number of templates. Invoices are generated as PDFs. It offers time and expense tracking. 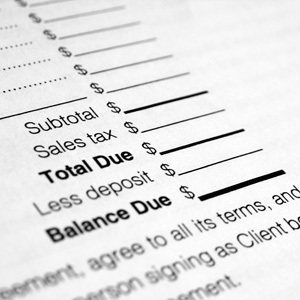 Invoices are produced as PDFs. You can use it to maintain client balances/trust accounting. It’s accessible from mobile browsers. You can create sub-accounts within your account. There are limits on the number of invoices per month. You can send payment reminders and thank you messages. You can have unlimited users and transactions. You can upload your bank statements. You can generate real-time reports. You can send 5 to 1,500 invoices per month. You can have unlimited customers. It includes invoice and payment tracking and recurring invoices. It integrates with Zoho Projects. Do you use any of these services? Would you recommend it?